Looking for comfortable, welcoming lodging in Branson? Branson’s Scenic Hills Inn prides itself on its warm and inviting atmosphere with personalized service! Recently renovated, the Inn is located in the scenic Shepherd of the Hills area of Branson, where you’ll stay away from the busier Highway 76 district, yet still very close to all the wonderful shows, attractions, shopping, and dining for which this entertainment mecca is famously known! You’ll discover an outdoor pool and hot tub, flat panel televisions, complimentary WiFi access, and a deluxe complimentary breakfast with homemade, mouth-watering cinnamon rolls! Other features include a convenient laundry for guest use, no charge for children under 16 staying with their parents, and a gift shop. Guests will appreciate the lovely views of the Ozarks’ hills, and the convenient access to everything you need along Shepherd of the Hills Expressway, Branson’s only five-lane thoroughfare. Make your stay in Branson clean, comfortable, convenient, and most of all, scenic...at the charming Scenic Hills Inn! 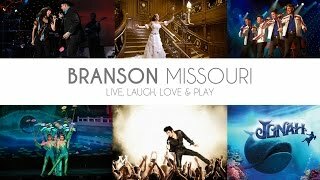 For more options for lodging in Branson and vacation package information, take a look around Branson.com.